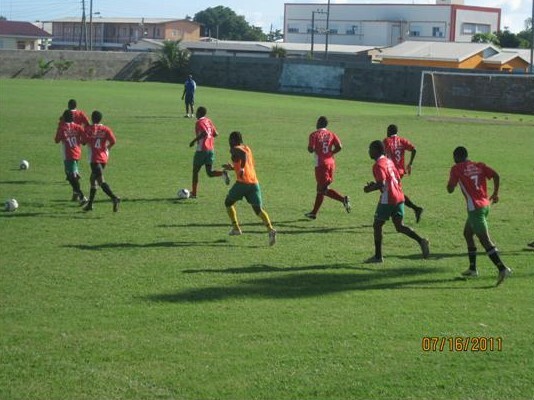 After several months of practicing the final team that would be representing the St Kitts Nevis was announced on Saturday 16th July. The team was selected after a practice match between the Olympic Team and a team that comprised of National and Premier Division players. The Olympic Team won that matchup convincingly with a 3-0 victory over the combined team. The win gave the players and coaches a chance to evaluate the team strengths and weaknesses and gave them opportunity to fine tune the team in the following days. The Olympic Team will continue their intense schedule of practices during the course of the week. 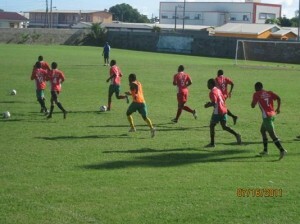 The Tournament begins Thursday 21st July with St Kitts playing St Lucia at 8:00 pm. Ticket are on sale at the Football House on Lozack Road.